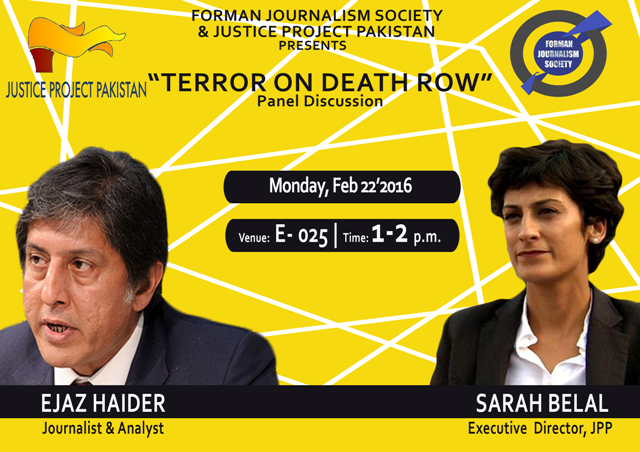 Forman Journalism Society in collaboration with Justice Project Pakistan presents a panel discussion on “Terror on Death Row” on Monday 22 February 2016. 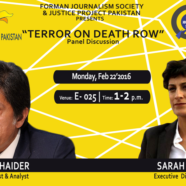 The panelists will discuss the moral and social implications of the State’s measures against terrorism despite the intense challenges faced by it. This interactive discussion will enlighten student specially those wishing to take CSS examination in their future.